Tricia and Danny got married on the first day of fall. 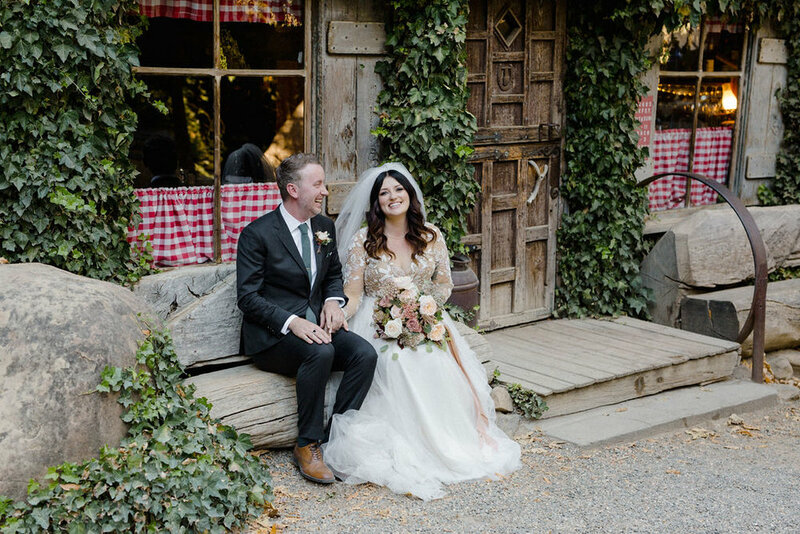 Tricia being an interior designer in LA had a clear vision for this wedding and with the help of Wunderland & Co. was able to nail the freshly started fall look she was going for. Tricia and Danny's relationship goes back many years and you could tell their love was so deeply rooted. They included their "dog child," as Tricia calls him, Olive in the ceremony as he donned a floral collar for his walk down the aisle with Danny. Both the ceremony and reception were held at Cold Spring Tavern where we featured a floral arch including the signature mustard and burgundy leaves to give the guests the true feel that fall had arrived. The celebration went through the night as friends and family gave toasts while Tricia and Danny enjoyed the view of their loved ones from their raised sweetheart table and later led the party to the dance floor where the guests enjoyed the DJ.